Single acting hydraulic cylinders, unlike double acting hydraulic cylinders, use gravity, weight, or another assist force to move the cylinder in one direction. There hydraulic cylinders use hydraulic pressure to actuate the rod in one direction, extending or retracting, with piston and ram types available, and with gravity or spring return based on your application. In this post, we will look closer into how single acting hydraulic cylinders work. Single acting hydraulic cylinders can be mounted in any position. They work for a wide range of mobile and industrial applications where hydraulic cylinders are required. Single acting hydraulic cylinders are also oftentimes cost less than their double acting counterparts. In general, single acting hydraulic cylinders use fluid, or hydraulic, power to generate force in one direction with the weight of the load and gravity being pushed or pulled, creating movement in the opposite direction. Single acting piston cylinders use hydraulic pressure that pushes against a sealed piston in one direction and can also incorporate a spring to facilitate movement in one direction. This process involves hydraulic force being used to move the cylinder in one direction, which compresses the spring. In this case, the spring, rather than gravity, creates the pushback. Once there is no more pressure, the spring returns the cylinder to its resting position. At Best Metal Products, we are the premier source for high quality, durable single acting hydraulic cylinders in Grand Rapids. 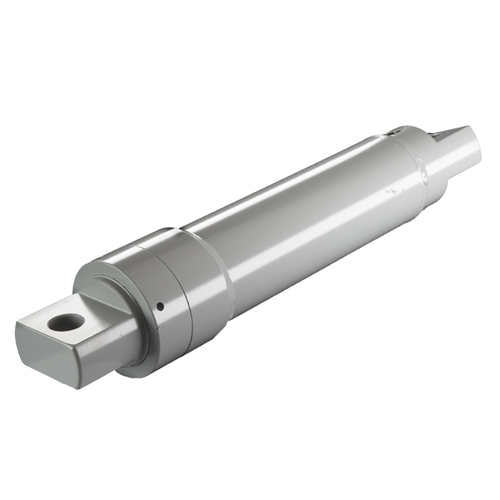 If you are an OEM, know that we are the OEM choice in single acting hydraulic cylinders. Please, do not hesitate to contact us today with any questions.